The Petroff Defence is especially suitable for positionally-oriented players who like to obtain a solid and reliable game after the opening. The theoretical material in the book has been thoroughly prepared and systematized. The many new ideas and novelties have all been explained in a way designed to make it easier for the reader to understand and employ them in his own games. See Contents | Download an update of chapter 19! GM Yevseev suggests a new concept of combating the French. White plays 2.d4 d5 3.Nd2 and then he deploys his pieces according to the scheme Ngf3, Bd3, c3, 0-0, against almost anything that Black may play. This will usually lead to exchanges in the centre and the appearance of an isolated queen’s pawn for White. The Safest Grünfeld offers a complete repertoire for Black against 1.d4 and various Anti-Grünfeld systems as 1.c4 Nf6 2.Nc3, 1.Nf3 Nf6 2.c4 g6 3.b4, 1.d4 Nf6 2.Nf3 g6 3.Nc3. The book follows Chess Stars trademark structure with 3 chapters in every part. "Main Ideas" aim to give you a succinct review of the theory and the basic knowledge that should you allow to start playing the opening without much study. They also give examples of middlegame plans and typical tactical motifs, to complement the "Step by Step" and "Complete Games" chapters. In most main lines, the authors offer at least two alternative setups for Black - one solid system, and a more challenging approach. This book aims to teach you how to put Black into a positional squeeze in the most popular gambits against 1.d4. It offers a White repertoire based on understanding and not on memorisation of long variations. Georgiev preaches a solid strategic approach which allows to decrease the role of computer assisted home analysis and will serve you for many years. The structure of the book is similar to Georgiev’s previous work, The Sharpest Sicilian. In the Main Ideas chapters, the author focuses on plans and ideas. He explains what to do after the opening, which pieces to exchange and which ones to keep. He also provides a full, step by step, branch by branch, theoretical coverage in the Step by Step chapters. You will also find complete games with extensive commentaries. Dreev is a leading expert on opening theory. The Moscow Variation and the Anti-Moscow Gambit are his “trademark” systems. Alexey is also a renown chess author. His previous book, My One Hundred Best Games, was selected in the short list of the English Chess Federation A Book of the Year contest. The book consists of seven chapters dealing with different move-orders. Every chapter comprises of Quick Repertoire, a thorough analytical material in the part Step by Step and Complete Games. In order to include a certain opening system in your opening repertoire it would be sufficient for you to read the part Quick Repertoire and play through the games and that would not take too much of your free time. After this you can boldly start playing this opening in some friendly games in your club or in the Internet. You will amass in that fashion a certain degree of experience in the Scotch Game and then you should better have a look in the part Step by Step comparing your play with the recommendations of author of this book. Vladimir Barsky is an International chess master, journalist and coaching second of A.Morozevich in numerous international competitions, including two World championships. He is the author of a variety of books about chess and chess players. "I have tried to reveal to you the true spirit of the King's Indian Defence – to uncover for you its secrets and to show you its typical resources. The Yugoslavian "Chess Encyclopedia" devotes almost a half of Volume 5 to the K.I.D., with indexes from E60 up to E99. However, I did not feel bound by these frames, despite their size, and I have tried to explain to you when Black should direct the fight in the spirit of the Benko Gambit or the Modern Benoni... The book is written for chess players of all levels, since the principles of the King’s Indian Defence are equally applicable to the amateurs as well as to the super-grandmasters." Updates. Many readers asked about the line 1.d4 Nf6 2.c4 g6 3.Nc3 Bg7 4.e4 d6 5.f4 0-0 6.Nf3 c5 7.d5 e6 8.Be2 exd5 9.exd5 which was not covered in the book. Bologan wrote an update which you can download from here. This book of Chess Stars offers an entirely new approach to the Four Pawns Attack against the King’s Indian Defence (KID). The author develops original aggressive ways to combat the KID and analysis them in great detail. He also covers various move orders for Black known as Modern Defence. There is no Kill K.I.D. 2 ...yet. This project is open to readers’ suggestions. Update. You will find here additional analysis of one line which has not made up to the book, but also deserves attention. The book deals with a reliable and interesting system (1.d4 Nf6 2.c4 e6 3.Nf3 b6 4.a3) which has been played by most of the world's elite, starting with ex-world champion Tigran Petrosian. It is not a repertoire book though. Beliavsky&amp;Mikhalchishin present an objective work which discusses the possibilities of both sides. White's main strategic goal in this system is to build a perfect pawn centre and then organise a kingside attack. Such an approach is much more natural than the modern fianchetto systems against the Queen's Indian Defence. Database statistics seem to confirm that, as White is scoring with 4.a3 better than with 4.g3. The authors' own practical experience shows that they feel comfortably in the Petrosian system with both colours. They are especially effective with White and have not allowed a single loss in 27 years. The structure of this book is similar to other recent Chess Stars publications. Every part starts with a Main Ideas section that explains the major plans and typical positions which are then analysed in the Move by Move chapters. The book will be interesting to a wide range of players who enter QID positions as White or Black. The book presents a Black repertoire with 1.e4 c5 2.Nf3 Nc6, based on the most aggressive Sveshnikov lines. It also covers The Rossolimo (3.Bb5) and Alapin (3.c3). The authors propose major novelties in practically all topical lines. The repertoire avoids solid, but passive variations. They are left for backup lines while the authors' recommendation goes for the most challenging options. "Currently I do not see any serious theoretical problems for Black" claims Kolev in the foreword. In the Rossolimo the authors also share completely new ideas, developed by them. You can also find instructive examples of how to play in the various stages of the game. In general, I have devoted a great attention to the openings and my comments about them are from the point of view of the contemporary theory. A chess professional’s life is not only the games played over the board. You go to different countries, you visit various continents; you see picturesque places and ancient towns and you come into contact with chess-fans all over the world. In my notes to some of the games, I have shared with my readers (as much as the size of the book allows) my impressions of these journeys and encounters. While working on the story of my first steps in chess, it was as if I re-lived again everything I came through during all these times. Naturally, my memory is not perfect. I have had to omit many things also because this book is not an autobiography, it is not memoirs, and it is supposed to be a collection of games. Still I tried to tell in earnest about my development as a player, about my problems and hardships (some of them due to the surroundings and some of them just personal). I have shared with my readers my joy about my victories in my first tournaments and I have told about people who have helped me and to whom I owe my deepest gratitude..."
The author Marat Makarov is a Grandmaster and he has been practicing as a coach for more than 20 years. Among his pupils is the champion of USSR and Russia WGM Julia Demina. "It was a great pleasure for me to work with this wonderful book. 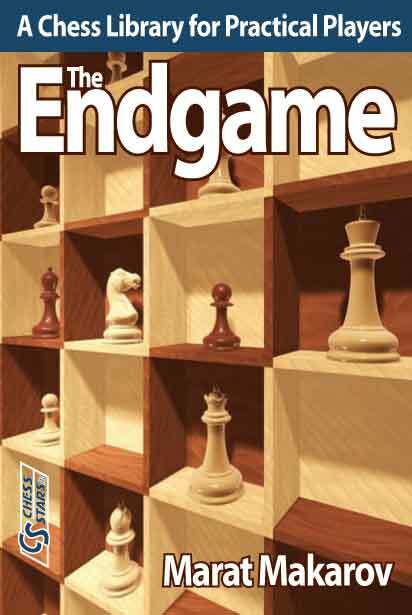 It includes more than 300 skillfully selected endgame positions, which are of immense value for the practical player. It looks like you can encounter them in every tournament and I myself learned a lot from that book, while translating it. I believe this work is a necessity for every chess player’s library and it will ensure for you plenty of well-deserved points in your chess games." GM Evgeny Ermenkov. The first volume of the extremely popular series "Opening for White According to Kramnik" was published years ago. Now 14th world champion Alexander Khalifman presents the audience with two entirely new books. Volume 1a covers the Old Indian Defence, Anti-Gruenfeld, and less popular lines of the King’s Indian Defence. The first part analyses 1.Nf3 Nf6 2.c4 d6 3.d4, where Black delays the development of his bishop to g7, or prepares it for another deployment altogether, for example after e7-e5 and Bf8-e7. These opening set-ups have long had the reputation of being solid, but with not so good prospects for Black. The second part deals with 1.Nf3 Nf6 2.c4 g6 3.Nc3 where Black follows up with 3…d5. 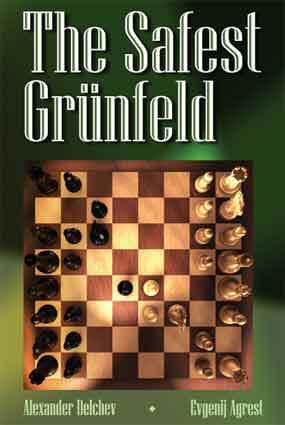 Thus he emphasizes that he does not intend to play the KID and he invites his opponent to enter the main lines of the Gruenfeld Defence. White counters however with 4.Qa4+!? facing the opponent with difficult problems while turning the Gruenfeld out of question. In the third part of this book Khalifman begins to analyze the King’s Indian Defence, starting with some currently offbeat lines. Its main and most fashionable variations are so complex and strategically independent that Khalifman singled them out in the separate volume 1b. This book is devoted to the contemporary variations of the classical system of the King’s Indian Defence. The author classifies into that group the lines in which after: 1.Nf3 Nf6 2.c4 g6 3.Nc3 Bg7 4.e4 d6 5.d4 0-0 6.Be2 e5 7.0-0, Black plays 7...exd4, 7...Na6, or 7...Nc6. This definition might seem to you to be a bit unusual, but I believe Black’s hopes to obtain a good counterplay are based mostly on these variations, in which the opening theory is developing most intensely. Finally, the last and of course the main part of our book is devoted to the variations with the move 7...Nc6. It is worth mentioning that mostly thanks to the efforts of Vladimir Kramnik during the second half of the 90ies of the last century – the system with: 8.d5 Ne7 9.b4,became extremely fashionable and especially the variation: 9...Nh5 10.Re1. Meanwhile, the greatest contribution to the theory of that system we owe to several games between Kramnik and Topalov. If we have in mind – there will be a unification – match in the autumn of 2006 between these two players, this book is coming out of print as if at the best possible moment! We should not be surprised if these two adversaries might decide to relive the past and to test in practice the newest discoveries of the opening theory and the new original analyses collected on these pages?! If you are looking for a bulletproof repertoire for Black and like Caro-Kann, Nimzo-Indian, Queen's Indian, Catalan, English, this is the book for you! Drawing on the premise that you do not need an Encyclopaedia, but rather a guide through the sea of variations, the ex-champion Khalifman offers you a clear vision how to reach reliable positions without having to invest tons of time for preparation. The material is well organized and most energy is used on the most testing variations. The high quality of the advises and the concise, but accurate presentation makes the book a valuable tool for players of all levels.